With over a decade of experience providing advice and marine mammal mitigation for dredging operations worldwide, OSC offer a full range of environmental services and cost effective mitigation solutions to assist clients at every stage of a dredging project, from planning, though to real-time monitoring of marine life and reporting. Recommend methods of reducing potential impacts. OSC’s practical and proactive approach means any potential issues are identified early on in jobs, enabling solutions to be found promptly, avoiding lengthy delays once operations are underway. 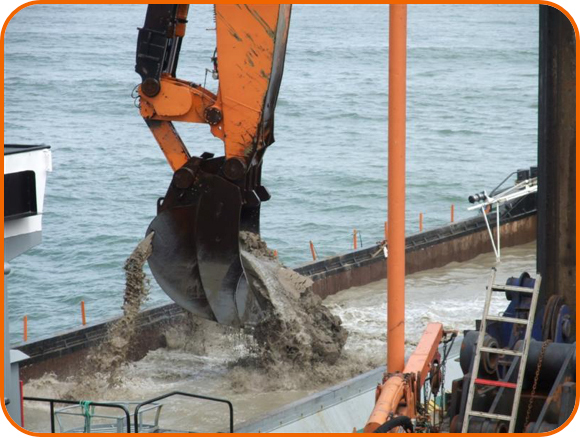 Précis on documented and predicted effects of dredging. These tools assist in the production of Marine Mammal Impact Assessments, and Marine Mammal Mitigation Plans, which enables clients to identify quickly which species of marine mammal are likely to occur in the area of proposed dredging, and potential impacts. Regional distribution of aquatic and semi-aquatic mammal species and subspecies is provided on the tools pages of the website. Contact us by phone (+44 (0)1368 865 722), or by email (info@osc.co.uk) to discuss your project requirements. 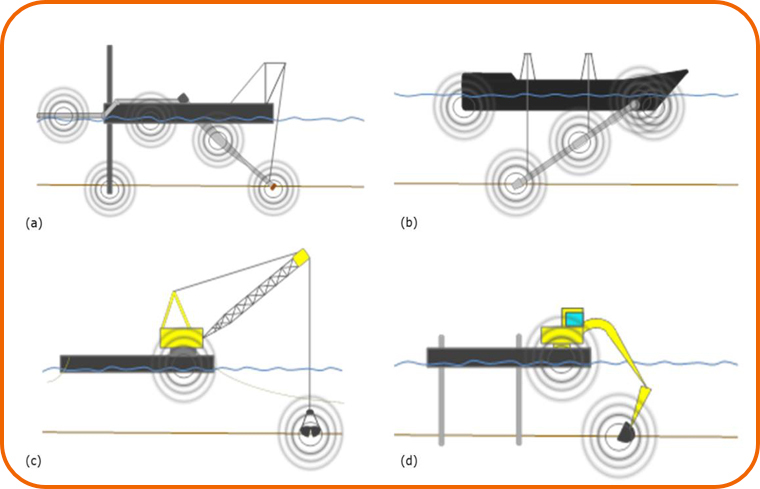 OSC can provide experienced Marine Mammal Observers (MMO) and Passive Acoustic Monitoring (PAM) operators with an understanding of dredging procedures, and an ability to implement mitigation measures successfully in real-life situations. OSC MMO’s and PAM operators provide on the spot advice, and are able to think on their feet, which ensures operations adhere to all environmental guidelines, without long unnecessary delays. OSC MMOs and PAM operators can work to all mitigation guidelines, including the National Parks and Wildlife Service (NPWS) Guidance to manage the risk to marine mammals from man-made sound sources in Irish Waters, which specifies mitigation procedures for dredging operations.